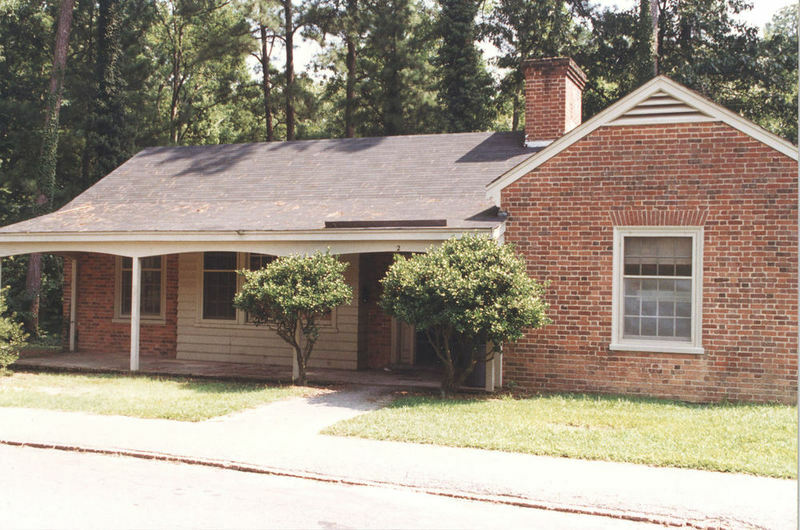 Lodge 2 was constructed in 1947 as one of 11 housing units for fraternities as William & Mary's male student population expanded dramatically following World War II. 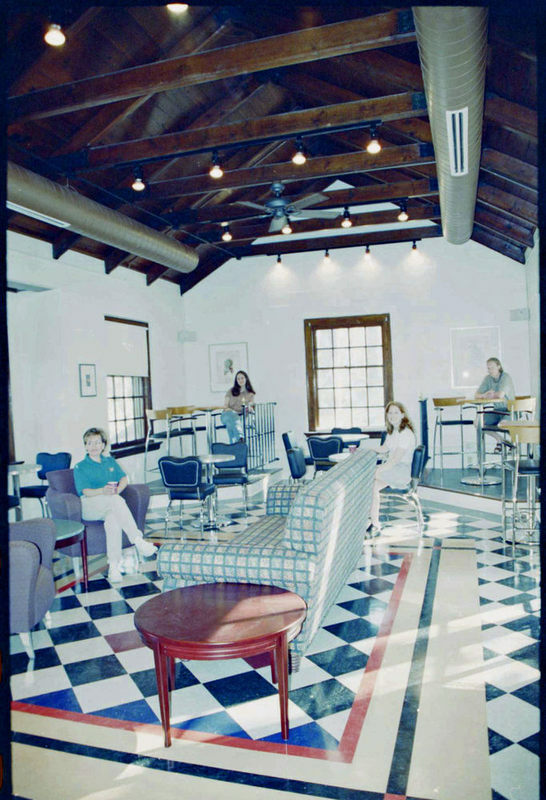 The Daily Grind coffee house is currently housed in Lodge 2 and opened in March of 2000. 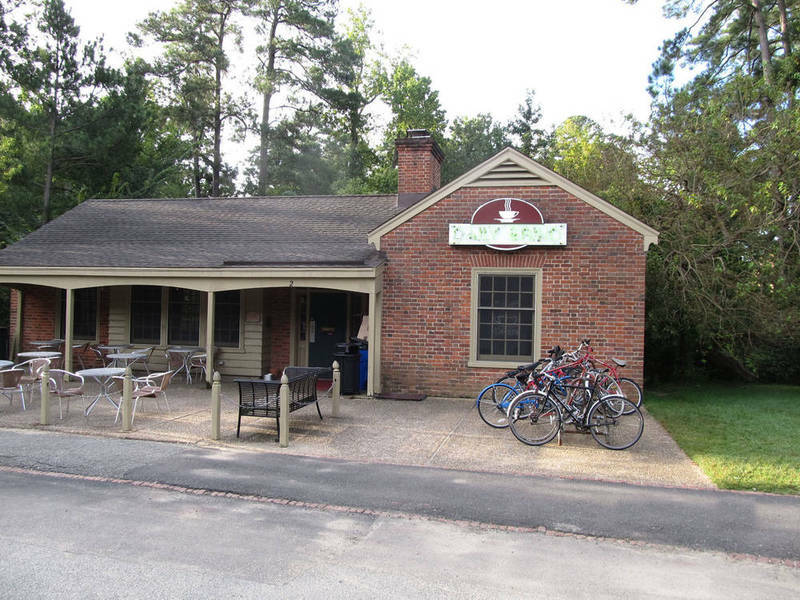 Located across from the Sadler Center, TheDaily Grind offers clientele a wide selection of coffee, tea, juice, smoothies, pastries and other foods prepared daily in-house using organic ingredients. Daily Grind, 2013: Photograph of the exterior of the Daily Grind on the last day of classes for the 2013 spring semester. ~ Source: University Archives Photograph Collection, UA 8. ~ Creator: College of William and Mary. Lodge 2, 1996: An image of Lodge 2 in August of 1996, prior to its conversion in to the Daily Grind. ~ Source: University Archives Photograph Collection, UA 8. ~ Creator: College of William and Mary. 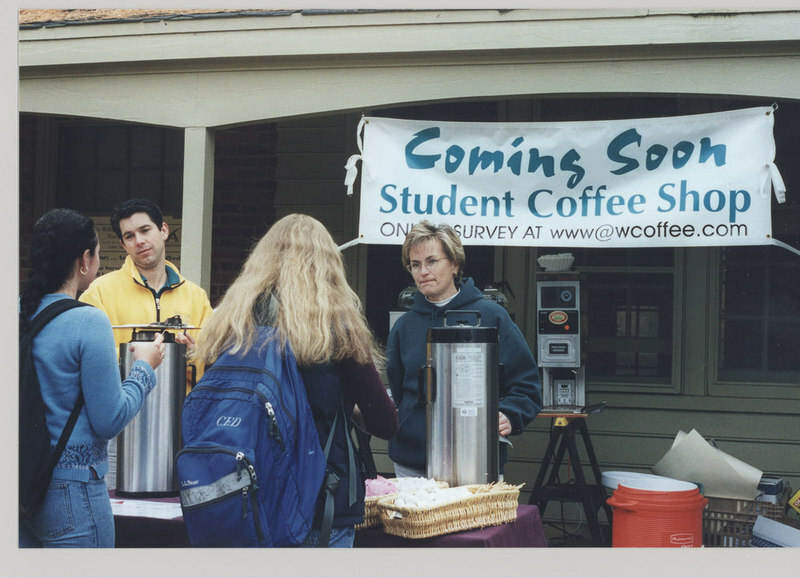 Daily Grind Coffee Shop, circa 2000: Photograph of the Daily Grind shortly before it opened, circa 2000. ~ Source: University Archives Photograph Collection. ~ Creator: College of William and Mary. Daily Grind Interior, circa 2000: A shot of the interior of the Daily Grind circa 2000. ~ Source: University Archives Photograph Collection, UA 8. ~ Creator: College of William and Mary. 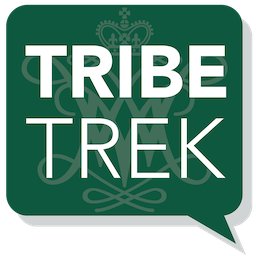 Special Collections Research Center, Swem Library, College of William and Mary., “Lodge 2 (The Daily Grind), Constructed 1947-1948,” TribeTrek, accessed April 19, 2019, https://tribetrek.wm.edu/items/show/29.